The mission of the team is "Brining life to campus" and it was because of the same reason that Team Prayatna was formed, 35 kilometres away from the city, the students of IMT Nagpur need something that not only caters to their day to day needs, but also give them certain luxuries of city life. The Team brought to campus various necessities like the laundry service, Barber, Cobbler, The Cooperative Store and the LEO Gym with a sole aim of "No Profit, Only Service". Once the cobbler, barber, laundry service and LEO Gym were established, they were made separate entities. 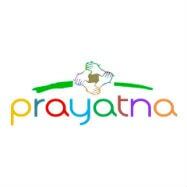 Conceptualized by 2006-08 batch, The Cooperative store, which is the main function of Team Prayatna, has ventured into not only providing the basic things which a student on the first day of campus needs, like Mattresses, but also sells Stationery, Bakery products, Ice-Creams, Wafers, Chocolates, Tea, Coffee and many other snacks. The team runs its services like an organization, and follows the ownership model, wherein every student of IMT-N is a shareholder. The profits earned by the Cooperative store are returned to the Students as dividend at the end of their 18 months course. Even though the team has a pure service motive, it cannot run the functions (and specially the Cooperative store) in losses due to the dividend which has to be not only maintained, but also increased if possible. And as such, the members of the team have a hands on experience on how an organization runs - the finance, operations (mainly supply chain), marketing and HR - all areas are covered when it comes to the learning in Team Prayatna. It also teaches the members "time management" as working as a part of the team is a ground work, where not only should the students be present physically in the store, but they also have to think in what ways can things be improved on campus, find new dealers, work with the old ones and get the store running. This, along with numerous case studies and class work becomes a demanding job and requires high will power, thus enabling the students to get ready for the real work and time management required at the corporate level. Also, every team member gets a chance to deal with big brands like HUL, Cadbury, Coca Cola, Airtel, Lays, ITC, CCD, Nescafe, Dinshaws, Amul, Delmonte etc. The students who are a part of the Team Prayatna get practical knowledge, which remains with them throughout their lives and makes their "MBA" a complete package of academics and entrepreneurship. The Team has very ambitious future plans for the students. We plan to open a coffee lounge in the campus which will have board games, light music with novels and magazines more like a Book-Café.